It’s Mountain Quiltfest in Pigeon Forge this week through Saturday, as quilters gather from all over the country and present their amazing works of art, displaying hundreds of unique quilts at no charge. Quilt lovers and quilters of all abilities can enjoy the more than 75 classes, attend dinner lectures, and shop for fabrics and supplies. Some of the country’s top quilters and quilting instructors will be on hand during this hugely popular event, now in its 19th year. A Mountain Quiltfest™ draws over 20,000 visitors each year. The event spreads across many Pigeon Forge locations during the week, with a free shuttle service to carry folks between the venues. Quilters in several categories are competing for over $20,000 in prizes. There are also a sewing machine and great door prizes to be won by lucky patrons of the event. 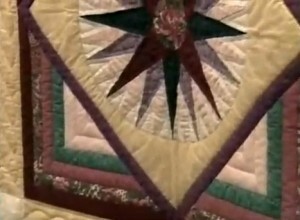 Antique quilts are also on display. And if you wonder about the value of your own quilt, a certified Quilt Appraiser will be available by appointment to appraise one or more of your quilts. Dinner lectures are planned throughout the week, with a Dinner Social on Friday night. For the full schedule of events check A Mountain Quiltfest web site, or call (865) 429-7350 for more information.